The people that make the Greyhound what it is.. 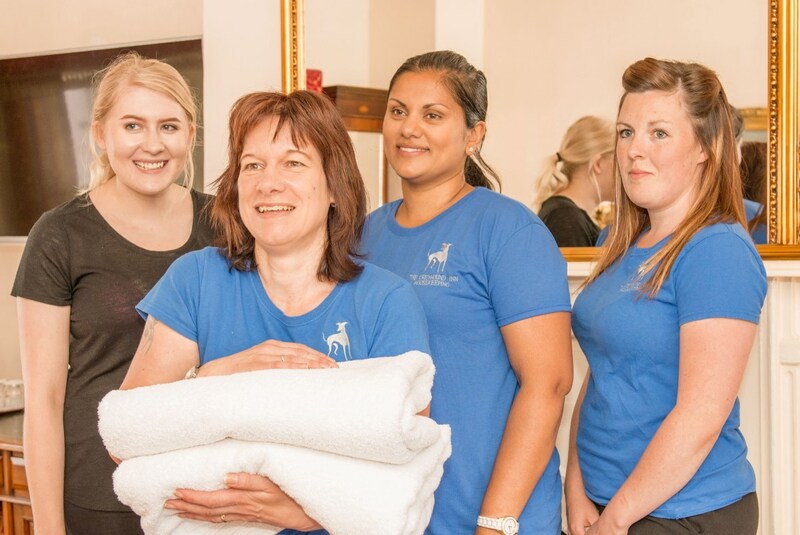 The team of people at The Greyhound Coaching Inn are the most important part of the hotel's success. Many of the staff have been at the hotel for several years and take great pride in the high quality of customer service they provide. 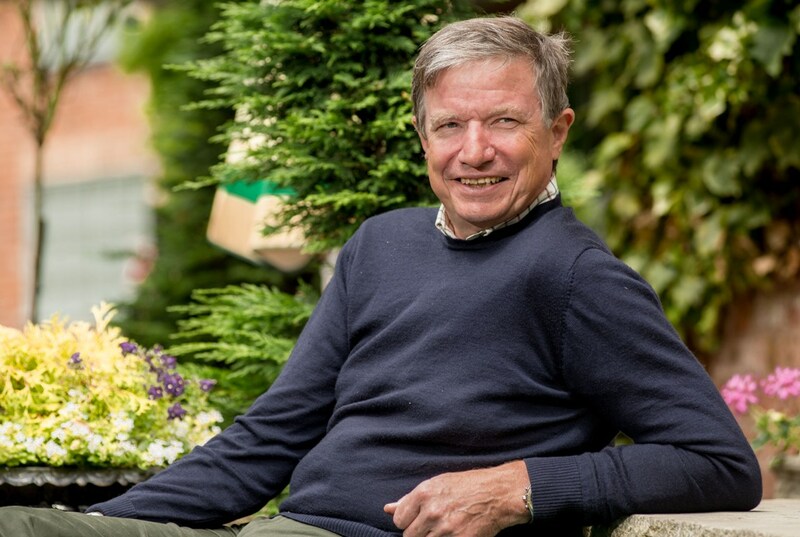 The Greyhound Coaching Inn is owned by Robert Eggleston who bought the Grade II listed building in 1989 and totally refurbished and renovated the hotel, creating guest bedrooms, a Restaurant, bar, lounge and the relaxing atmosphere of the Courtyard. Robert, whilst likened to Basil Fawlty by some customers, tries to provide a unique experience far removed from that of branded hotels. 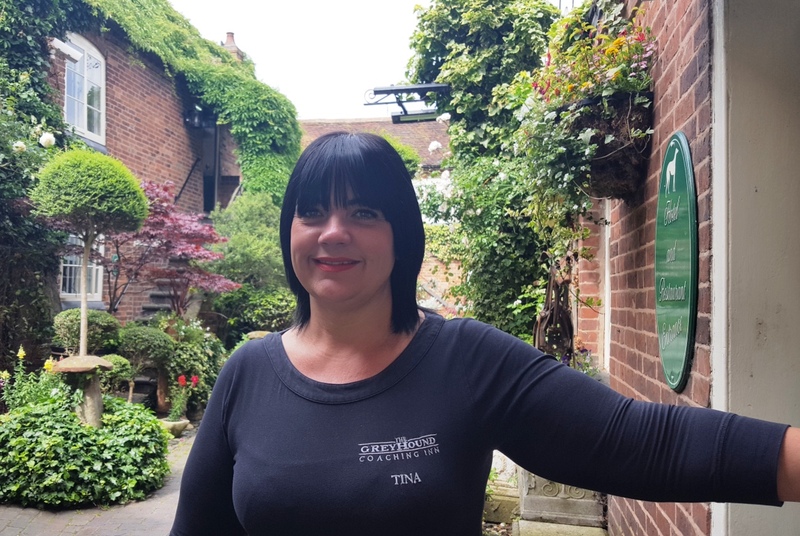 On a day-to-day basis, the management of The Greyhound Coaching Inn falls into the helpful hands of General Manager, Tina Halst. She takes great pride in ensuring our guests enjoy how they use the Greyhound. Head Chef, Steve Dennis, has been part of the fabric of The Greyhound for over 25 years and has been instrumental in building an enviable reputation for quality, well prepared and delicious home-cooked food. His colleague, Will Smith, has worked with him for nearly as long. 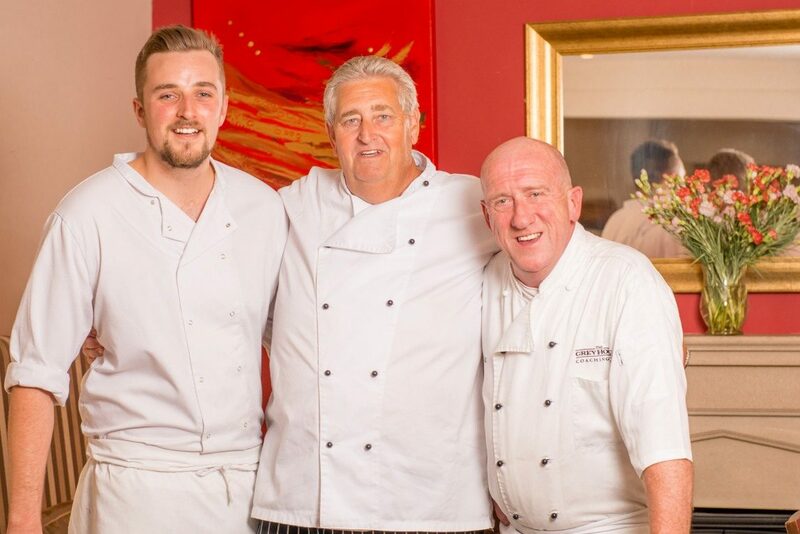 Together, with the able assistance of third chef, Steve Perkins, the culinary team ensure they provide the customer with an enjoyable and memorable experience. 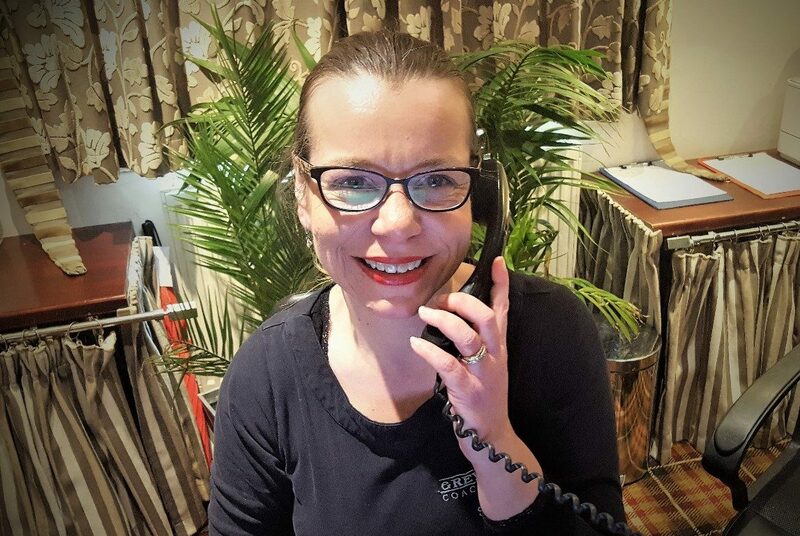 Making sure you receive first class customer service in the Restaurant and Lounge is Beata, our Restaurant Manager. 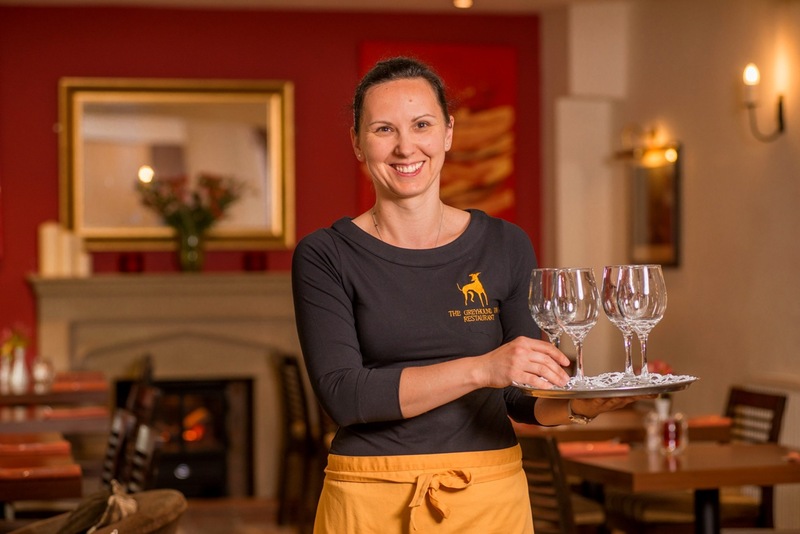 Beata is another member of the team who has been at the Greyhound forever! But before you even get into the Restaurant or to your bedroom, you'll meet our Front of House team and Suzie. They'll always give you a very warm and friendly welcome as well as be able to talk to you about organising weddings, conferences, private functions and parties. 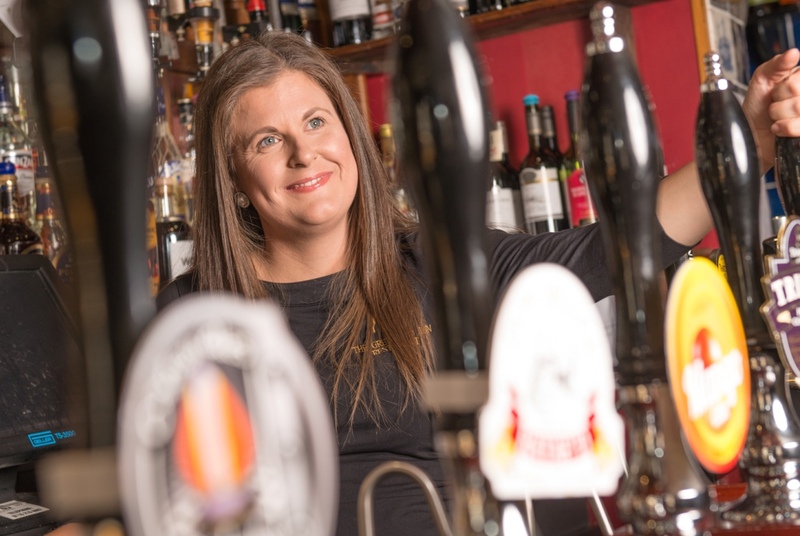 Front of House is supported by Natalie, our Bar Supervisor. Bubbly, friendly and petite (she has her own special stool to reach the top glasses! ), Natalie keeps our bar stocked and running well and the customers watered! And, keeping our bedrooms guest-ready and the hotel, restaurant and lounge areas clean and tidy are the dedicated, cheery and very busy housekeeping team, managed by Head of Housekeeping, Marie. Why do customers keep coming back? Several of our customers have been returning for the past twenty five years! They keep coming back because they want to get away from the uniformed, anonymous branded hotels which are now so prevalent. 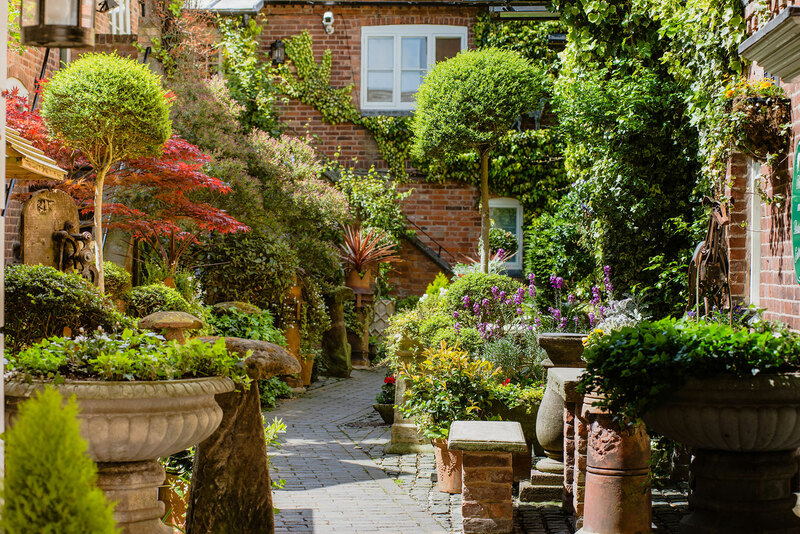 They enjoy the atmosphere of an old coaching inn with its cobbled Courtyard, the relaxed informality where the staff know their name and their tipple, the well-presented and tasty food, the real ale - in fact, what they imagine an eighteenth century coaching inn to look and feel like. Foreign travellers, as expected, enjoy the authentic ethnicity!